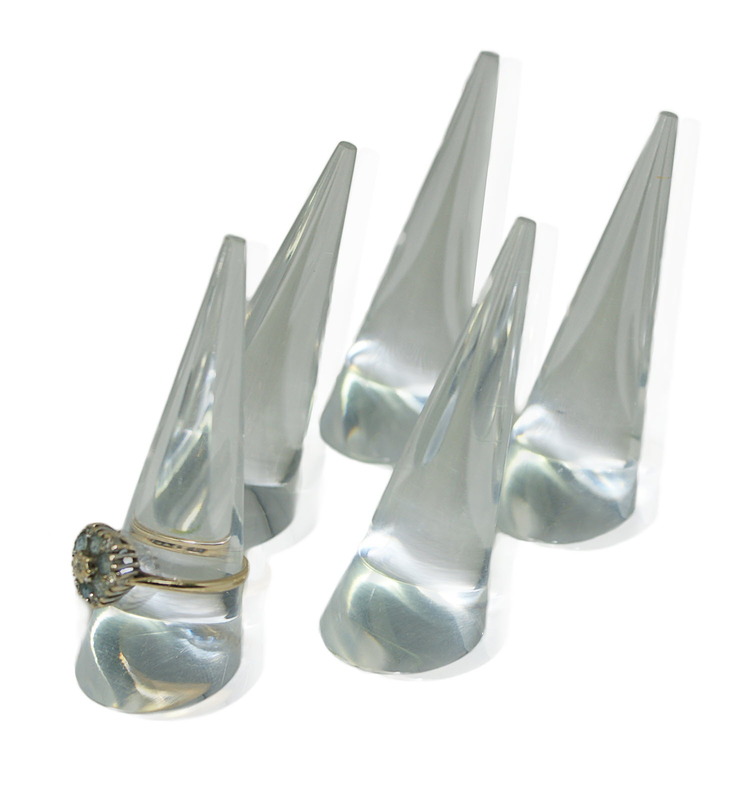 Display your rings with these simple solid acrylic cones, designed to emphasise your jewellery without overwhelming it. 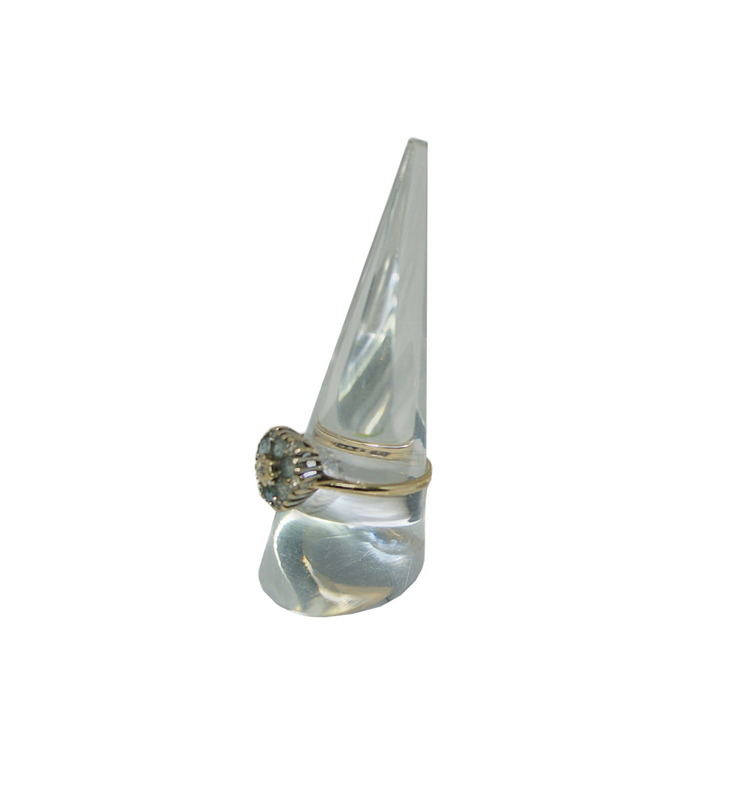 Fits any ring size due to it's conical design and is ideal for jewellery stores, boutiques, craft fairs and even domestic use. 59mm / 5.9cm / 2.25"
22mm / 2.2cm / 0.85"
24mm / 2.4cm / 1"